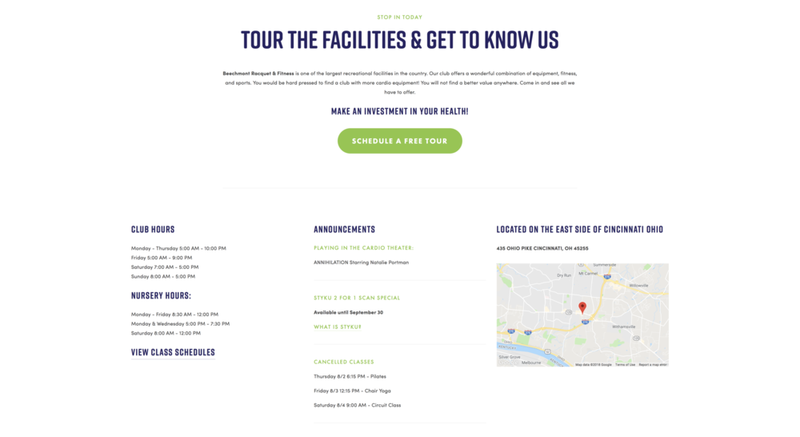 Beechmont Racquet & Fitness just launched their new website! With a focus on strengthening, toning, relaxing, and healing, Beechmont Racquet & Fitness is a different kind of gym. We took their already existing content and branding and created a fun, functional website. It's informative, easy to navigate, and easily updated by their internal team. It can be painless and is an integral step in growing your business!